Having now glazed the windows, all of the main construction is finished and I can work on the details. I've started on the workshop at the left end. Are you going to put a light inside the building so they get noticed? Or does the natural light already get in there? And how about some stains on the concrete floor around the railway tracks? Glen A wrote: They look great Andy. There is still floorboards to go on the floor above which will limit the natural light to what comes through the door - once the floorboards go in I'll experiment with some LED strip I have lying around. The second photo was taken without flash, just the sunlight coming from the right side of the layout. 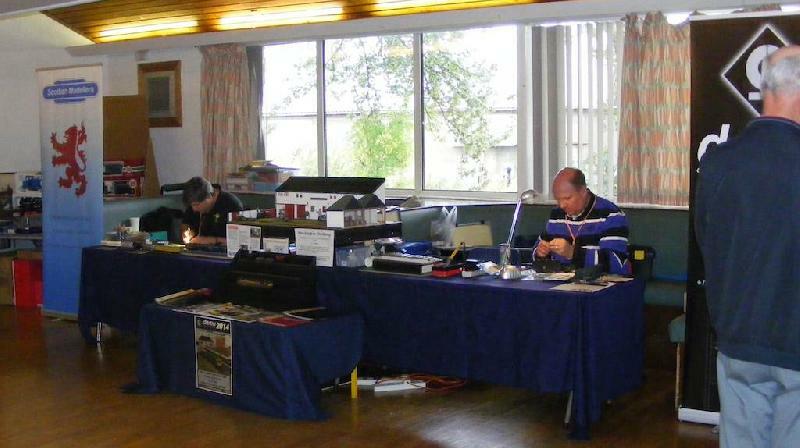 Yet again panic is setting in as the first official outing for the layout draws near. 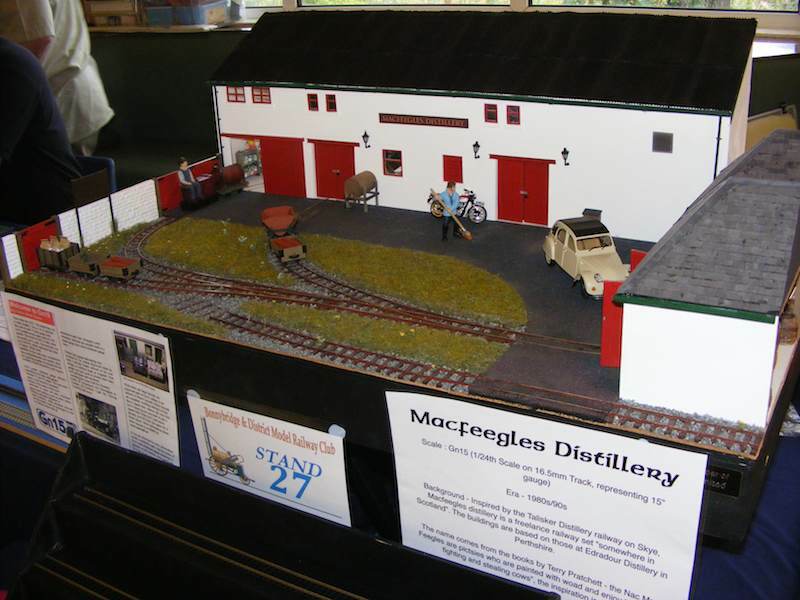 For anyone in the area, the layout will be appearing at Bonnybridge Model Railway show on the 5th and 6th of October (http://bonnybridgemrc.yolasite.com/) - if you come along, please stop by and say hello! First order was a clean up and some test running. It appears that the longer wagons struggle with the tight bends on the layout so I will set these aside for just now. More annoyingly, my newly constructed Bachmann Davenport conversion doesn't fit through the doors, having too long an overhang so my old locos will have to hold the fort. A few details have been added and traditional coach lights have been installed but not yet wired up. At this stage, I'm broadly happy with the layouts appearance so any changes over the next week will be small details. Hopefully, I'll have some new photos of the layout after the show. Hi Andy. Love the layout. I was up at Edradour in 2009 - you've captured the atmosphere perfectly. Cracking part of the world and a pretty damn good single malt as well. Good luck at the exhibition. It's a bit far for me though. Couple of quick shots from the show, the first shows the layout in central place on the stand and the second is how I've set the details this time. I had put the layout up for sale and there were a few enquiries about it but when it was removed from storage and looked at closely it wasn't in as good condition as I'd thought. 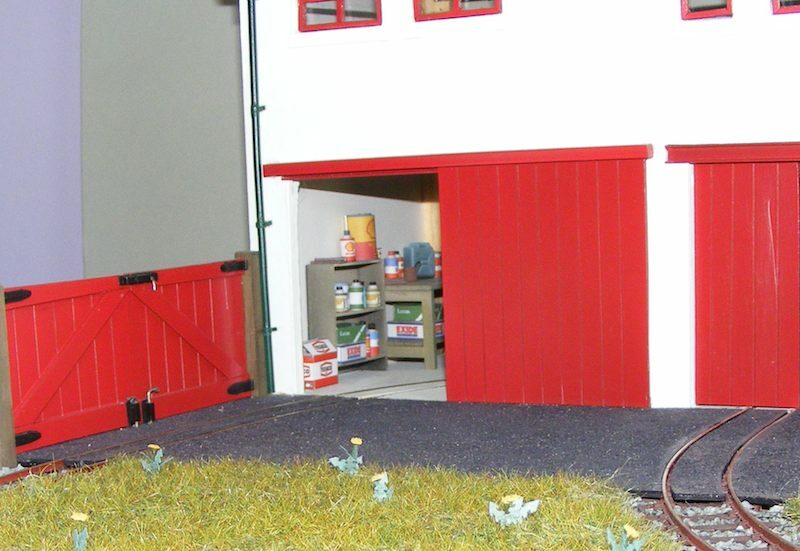 A couple of Scottish winters in an unheated garage had cause the card buildings to bow, the corrugated roofing was looking somewhat worse for wear (especially along the edges), the hanging basket grass had gone brittle and, for some reason, the black road surface had taken on a reddish hue. 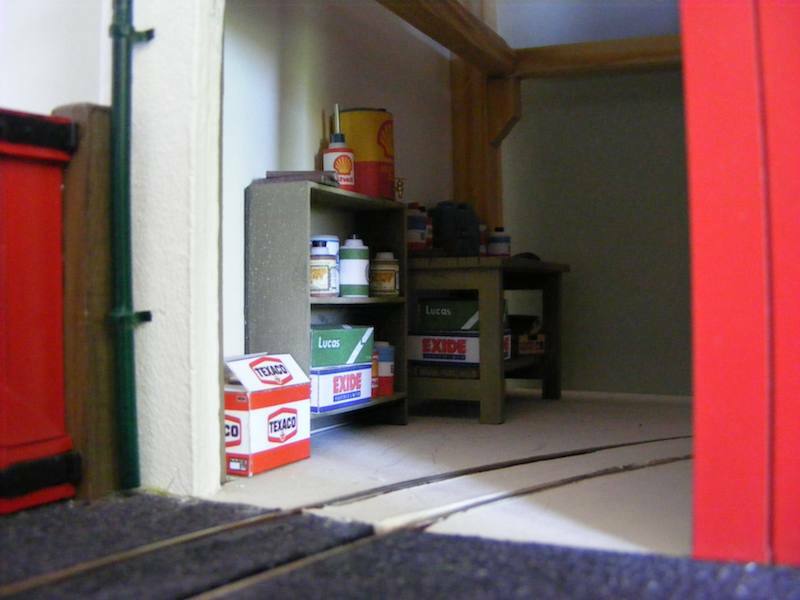 I have started stripping the layout and will rescue everything I can - the baseboard, track and electrics all appear to be ok so a new layout may appear at a later date reusing these. Many of the detail parts will be moved to Crundells estate and everything else will be stored for future use.